Our product range includes a wide range of abb ac drive. We are known to be amongst the leading manufacturers and suppliers of ABB Drive. Used for the purpose of controlling various electromechanical processes, these drives are manufactured as per the industry set norms. Further, its precision, strength, capacity and service life is widely acclaimed and asked for. 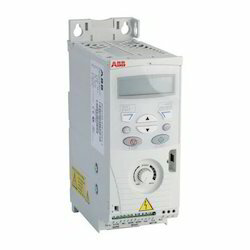 Looking for ABB Drive ?